Learn to better advocate for yourself personally, professionally and politically! Please join us for our first Advocacy Forum. 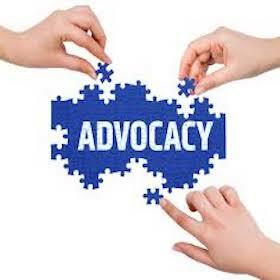 Attendees will have the opportunity to learn what advocacy is, the importance of being a self-advocate, and how to politically advocate at the local, state and national levels. Participants will also have the opportunity to visit bleeding disorder industry representatives at the vendor fair. This event is open to all members of the bleeding disorders community, their immediate family members and caregivers. Sara Caldwell is a Pediatric Hematology and Oncology Nurse with 14 years of clinical experience. She will discuss how everyone has a story to tell. It is important to be able to share a strong story beyond the bleeding disorders community to help self-confidence and to increase awareness of bleeding disorders in general, and the need for access to high-quality healthcare. Terri Cowger Hill is the Legislative Advocate for the Hemophilia Council of California. Her firm provides a full range of State legislative advocacy and consulting services in California. She will review the HCC’s advocacy strategy, key issues in 2019, as well as how to get involved in protecting your access to care in California. Dr. Courtney Thornburg is a Pediatric Hematologist who serves as the Medical Director of Rady Children’s Hemostasis and Thrombosis Treatment Center. She will discuss California Kids Care which is a program of Rady Children’s Hospital San Diego (a Department of Health Care Services (DHCS) and CCS Demonstration Pilot). Ryan Faden is Sr. Manager of State Government Affairs for the Western United States at CSL Behring. In his role, he works with state and national patient organizations on various advocacy initiatives. He will be speaking on the various healthcare programs offered in California. Nooshin Kosar is the Executive Director of HASDC. She will review upcoming events and thank you. This event will be presented in English and translated into Spanish.